In 2005 Yaro Starak stared his blog Entrepreneurs-Journey.com, intending it to be a hobby site where he would share stories from the previous years he spent as an entrepreneur. However, fast forward to 2014 and his blog has become his main business and has generated him over a million dollars. 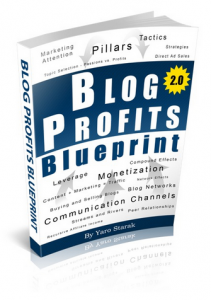 Yaro, who is based in Australia, has taught thousands of people how to make a full time income from blogging part time, how to buy and sell blogs and websites, and how to successfully launch an information product business. Hello. This is Yaro here. Apologies for the audio quality. I just moved house from Melbourne to Brisbane, and my microphone hasn’t arrived yet from the move. So, I’m going to go through each of the questions now and reply. Q1. Yaro, tell us a little bit about your background, what is it you do and what led to you to making money online? Well, I’ve been an online entrepreneur all my adult life. I got my first internet account thanks to my university studies. They gave me a dial up internet account, and that’s when I discovered everything to do with the internet. This was the early days. 1998 was when I first went online. And I basically fell in love with it, and I also had the goal of being an entrepreneur and not having a job. That was my primary goal: not having a job and having freedom. And I knew that business was the way to facilitate that, and I wasn’t sure exactly what kind of business. It just happened to be fortuitous timing that internet was growing up at the same time as I was becoming an adult. As a result, I became heavily involved with the internet, having websites, and then seeing how other people were making money from it. I started my own website about a card game I used to play while I was at high school which became a money-making website. It wasn’t a huge earner for me. Maybe somewhere between $500 to $1,000 a month, but that was pretty good for a university student. And that continued on to a proofreading company. That was my next sort of main business which did well. I worked on it as my main occupation after I graduated from university with a business management degree. The proofreading business was 100% online, and I grew it to the point where it was making about $100,000 a year of which I was keeping about half of that, a little bit less than half of that once I hired an assistant. It was very low labour. It was a true freedom business. I got down to a point where I only worked a couple of hours a week on it really. It was very much like a 4-hour workweek business, like Tim Ferris’s talks about. And then after that, blogging was next. So I actually started to blog, first, for the proofreading business and then turned the blog into its own identity, and that actually was the blog I write today, Entrepreneurs-Journey. And I’ve been doing it ever since. That was in 2005 when I started that blog, and it became my main business slowly. I sold off my other projects and became a full-time blogger and then became a blog teacher as well. Q2. Was there a lifestyle/business guru who inspired you to make money online? There wasn’t anyone in particular. I was very inspired by all the success stories around the dot-com boom era, and I was very interested in reading about them too. I read the books about eBay, and Napster, and then, more recently, Amazon.com and Google, and all those stories. I love the background stories of internet companies. I read a lot of smaller stories too, like a lot of local Australian stories behind companies like RealEstate.com that are new and some of the (basically) niche websites that became million-dollar businesses. I was inspired by that. I certainly saw the potential to make an income stream from the internet. No one in particular was responsible for it. It was really the collection of everyone doing it. And these hang about in the news. Back then, very much like today, the internet companies were being talked about as mainstream news stories, especially if you’re in that sort of new category, like at one stage, eBay was the hottest thing. Then, we started to move towards, I guess, a lot of e-commerce-type businesses became the hottest thing. And then it moved on to blogging and then social media, and it’s constantly evolving. And there’s always a new hot thing going on, probably today it’s apps. So I was inspired by what people are doing in all these different, cool business areas. Q3. Tell us about your websites and how you make money from them? Well, as I said, I consolidated very much my business into the one main focus which is, essentially, I’m a blog trainer or a blog teacher. I teach people how to set up a blog, and turn it into an authority site, and sell digital products and services that you create from your blog. That really is my core focus now. I mean, over the years, I’ve had a series of blogs. Some were on small business, my own one about entrepreneurship. I’ve had a miniature motorcycles forum collection. I had a rap music forum. I also had, of course, the proofing business and the Magic: The Gathering website. But all those got sold off, and today, I probably make my living from selling visual training products on the subject of blogging. I also have a membership site and a coaching program. So that’s my primary source of income. I have made a lot of money in the past from affiliate marketing, selling other people’s software and digital training products as well, and also advertising on my blog, and my original card game website made money from advertising too. But nowadays, I am purely an information marketer, and I love it because I get paid to be a writer. Essentially, I create digital information. 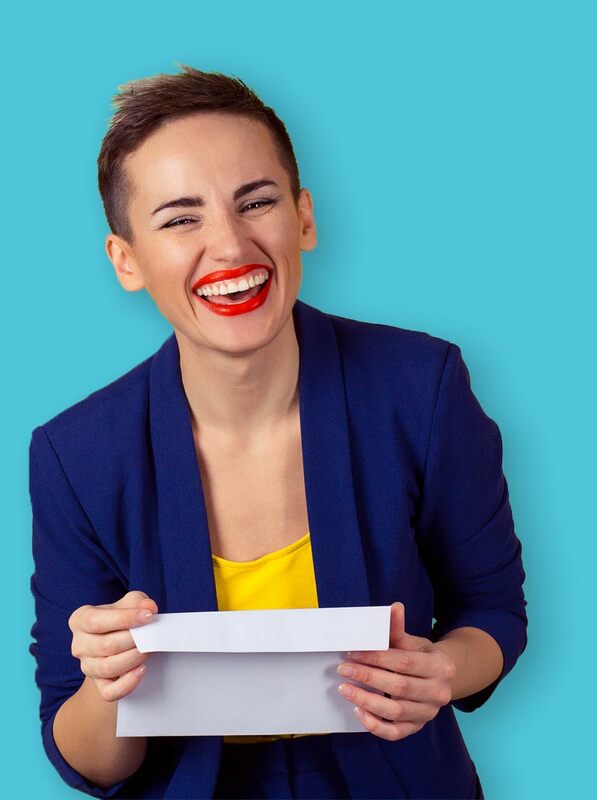 I get to sell my words, which is a fantastic way to make a living, especially if you’re a writer-type person because you’re getting paid for your creativity. Q4. When you first decided to try to make a living online, how long did it take you before you earned enough to live off? What mistakes have you made while trying to earn a living online, and what would you have done differently? Alright, three-part question. Well, my first attempt to make a living online never became a full-time business. My proofreading company was my first full-time income. Prior to that, my card game website was a successful business but not a full-time income by far. I still have a part-time job back then. So really, for me, the first time I tasted the situation where I was paying my own rent, paying my own food was with my proofreading company, and that was… I probably took a year to get to that point. I do remember I was running concurrently both the card game website and the proofreading business. So once they reached about sort of $2,000 to $3,000 a month in income, for me, that was enough to live off being a single guy. And that happened, if I think back, around… Let’s see… I started the proofread company in 2000, and I think I focused on it until about 2002 after I graduated from university. So by 2003, I was living in a rented apartment, a share house, and making my full-time income from those two projects. So it took awhile. I really like to talk a bit more about how long it takes to grow blog because, for me, I was making money from my proofreading company, and then I sold off the card game website, and then I started the blogging. And then the blogging took me about a year to get to the point where it was equaling the same amount of money I was making from the proofreading company. And of course, it’s got a much better profit margin. I was keeping 100% or almost 100% (if you take out the basic technical expenses) out of the money I was making from my blog. And that got to $2,000 a month by the end of 12 months of blogging. The biggest mistake I can remember from the early days was being very slow to jump on the email list bandwagon. So I had been starting into the marketing by that stage, and I knew the power of email. I was actually using it somewhat in my proofreading company by having an auto-responder sequence there and a newsletter, but it wasn’t a super effective tool in that business. I had seen a lot of internet marketers do amazing things with email and the affiliate products. There were a couple of guys—I remember hearing their stories of how they would send one email to their newsletter and have $25,000 in sales come back. So I got very excited by that, but I was a little bit late in the game with combining my blog with the newsletter. Bearing in mind, this was during the era when people were talking about RSS. Really simple syndication was the mechanism here that we’re talking about as the new method to subscribe to content from a blog and from all content from the internet. And as time went by, we now know that RSS did not eventuate to become the new tool, and email still remains the main communication tool we have to connect with our customers that has the highest response rate. So it wasn’t until 12 months after I started my blog that I put my email and newsletter opt-in form on the blog and started to build that aspect in my business. So the main mistake I always tell people I made was waiting 12 months. I should have had an email and newsletter from Day 1 and so should you if you’re starting a blog and listening to this. Q5. Tell us about the online courses you offer, and how do they help people. Well, I’ve actually been spending the last about 18 months now creating a range of products to suit different needs. I’ve known, based on my own experience and people I’ve coached over the years, that everyone has these sort of different goals and starting points, and I’ve actually made money in a few different ways too. I’ve just finished the completion of what I call my entry-level e-guides. I have one on buying and selling blogs and websites, which is something I did as a part-time, sort of semi-passive income strategy. I also have one on traffic, blog traffic – how to get your first 1,000 subscribers to your blog. And I also have a mindset and productivity e-guide, which is probably my favourite because I think it’s the most important aspect of growing a business. I really do think mindset and productivity is the starting point and the end point for all success you experience. Unfortunately, it’s also my least selling guide, but that’s often the case: people don’t want to spend money on mindset; they want to spend money on techniques. But I have that guide available for those who want to work on their mindset. I also have an interviews club, which is basically what it sounds like. I interviewed a series of bloggers, email marketers, and online entrepreneurs and then share those interviews through this club and also write action plans, where I extract the leverage points that each of these experts use to make hundreds of thousands to millions of dollars online, so you can take out the key things they did to get that exponential result and apply it to what you’re doing. That’s my exclusive interviews club. Those are my entry-level products, and I’m actually about to go back and teach my very first training course: Blog Mastermind. I’m going to recreate it from scratch. It’s my flagship program. Actually, as I record this, I’m about to teach it again and open it up to the public, and that will lead onto teaching some other courses. I have a membership site training program as well on how to sell digital information products. Those are my two main courses. There are those front-end courses. But I’m actually really working on having a range of products this time to meet whatever needs you have. I have coaching if you want – work with me and a community. I have a high-end coaching program if you just want to talk to me personally, one-on-one. I have a course where you could go through the modules and sort of follow the step-by-step process to build your profitable blog and your profitable email list, and I have those entry level products, sort of $50-and-less products where, if you’re just getting started and if you don’t have a big budget or you have a specific problem like just traffic, they’re available as well. And I’m following what I preach. I talk about how you need to set up a sales funnel, and I call it a blog sales funnel and have segmented information for the different needs in your marketplace. So I am currently going through and creating different products and services to meet the varying needs of my audience, and that’s an important thing to do. Q6. From your experience, what are the basic steps somebody needs to take, to setup & develop a successful blog? Okay. That’s not a short question, but I’ll give you some simple steps. Obviously, the first thing is to have some sort of core platform that you want to build around. In terms of technical issues, you get yourself a WordPress.org. You install it, you get yourself a domain name, and then you start using some amazing content. You add an opt-in form to your site, and you get out there and spread the word about what you’re doing by publishing on other sites and using social media and so on. But really, before all of this, I think, as I mentioned before, the most important thing is to get your mindset right, get your productivity habits right, and above all else, make sure you’re really confident about the subject area you’re going into. You need to know there’s money to be made in it, and you need to be clear that you are planning on cementing your expertise and maintaining a platform of credibility overtime. You will have to work on this day in, day out. You have to study materials, watch other people in your industry, and keep sharing as an ongoing dialogue with your own audience. And that requires a level of passion, dedication about your subject that, if you don’t have it, you’re going to struggle. You really need to care about what you’re writing about, what you’re sharing with people. I think the first thing to really work on is the mindset aspect, but the second thing is the topic selection. You need to spend a lot of time on clearly identifying who your target audience is, what you provide to them, how you’re going to build a business around it, and of course, how to blog, then, it becomes the platform and the tool you use to reach that audience to sell products and services and to have a business. Those are some basic steps to it, but really, as I teach in my course—I actually have four core modules—so, topic selection, content production, marketing, and then business systems. Those are the four modules I teach. Obviously, content production is about producing blog posts, and podcasts, and videos, and reaching your audience. Marketing and traffic, that’s about connecting with people and bringing them back to your blog, and getting them onto your email list. And monetisation is about selling your products and services, and then building an automated business or at least a well that’s not passive but semi-passive business that you have technology and systems delivering information and selling products for you so you can live what I call a 2-hour workday. I actually have a platform where I tell people that you’re aiming to build a blog that requires two hours a day to maintain that can bring you in $10,000 a month. That’s sort of my catchphrase: earn $10,000 a month blogging two hours a day. In order for that to happen, you really need to leverage technology. Q7. What type of blogs usually do well? Are there any sectors/niche areas you should avoid? What advice would you give somebody who is trying to decide which area/market to target for their blog? Good question. I really agree with… I have a mentor named Eben Pagan, and he has the concept called the “mega-niches,” and I strongly agree with this. I think it’s not a case of avoiding niches. I think it’s a case of making sure there already is money being made in niches, and it’s very clear what they are. So those mega-niches are health and wellness, money and finance, and dating and relationships. I fall into the money and finance niche being a make-money-blogging teacher. There are people who teach how to get dates or how to maintain a marriage. That’s in the relationship advice category. And then you’ve got all the health and wellness ones. I’ve got some students who’ve helped people with acne and ADHD. So those are two examples from my clients. Those subjects are universally popular. If you go to bookshops, if you go to Amazon.com, you will find that nearly every single product will fall into one of those top 3 categories. There’s one other fourth category that actually works well too which are often phrased as irrational passions. So these don’t fall into those three mega-niches, but they’re still quite popular. These are things that people are crazy about. A good example is women and buying shoes, men and sports. These are top-level categories that there is a lot of interest in, and they’re not going to fit into money and finance, dating, and health and wellness. Like in the past, you might have thought you have to go to new markets where no one has captured yet. You’d like to be the first to market, be the early adopter. Nowadays, with the internet, pretty much every subject that can make money has someone making money in it. It’s all about entering that space with new ideas, new points of expertise, and credibility, and new stories to tell basically, things you’ve done that are unique, and then using those stories to craft your own message and build a community around what you do and what you represent. I exist in this make-money-blogging space, and there are a lot of experts already in this space, and new ones pop up. And the ones who do best are the ones who have unique angles. Sure, the guys who were first, who started like I did in 2005, we had an advantage with less competition, but we also had less sophisticated systems to help us. Today, you got the technology and information to help you, but you also got the competition. So you just have to be more selective and more specialised with the sort of information and the sort of market you go for. That’s what happens with all industries. A maturation cycle of a marketplace always begins with those first, early adopters, and then once it gets saturated, it’ll start to segment into sub-niches. And that’s already happening in plenty of spaces where you no longer just teach blogging; you only teach blogging to people who are working in maybe the health and wellness area. Like for example, I’m a blogging coach, but someone could jump up and say, “Hey! I’m a blogging coach only for people who want to help those who are writing about health and wellness subjects.” So that a sort of specialisation you can do today. And you can specialise by people as well. You can go after women only or men only, people of a certain age bracket, people from a certain country, a locality. There are so many ways to subdivide niches. It’s just a case of you being comfortable and confident about the area you’re going after. Q8. Generally, what kind of blog posts are the most popular? Well, the ones that are most valuable. That’s the simple answer to that question. In today’s internet world, often, the best blog posts are the ones that A) have an amazing headline. The headline is always the first and most important aspect of a good blog post. Usually, they use different modalities of content and not just one. And by that, I mean written as well as contain some sort of imagery. Often, they’ll have audio and video content as well. So you might have a written blog post with an embedded video that can be downloaded as MP3 as well as an info-graphic or some other pictures. And that’s just so you can meet all the different ways that people like to consume information. I’m not a video person. I’m more of an audio person or a scanner of texts. Some people much prefer video. It’s just making sure you meet the needs of all groups and all types of learners. And also, often, the best blog posts are either very timely. So some blogs are quite heavily based on having the most up-to-date information about what’s going on right now, while others are more entertainment-based, and some are more teaching based. I focus on the more teaching areas—so, creating what I call pillar content which often will be posts about how to do things or defining subject matter. It’s all about establishing your expertise by demonstrating it through your stories, and through your teaching, and your step-by-step instructions that you provide people. If you want to see what the best blog posts are, you really have to go and simply go onto Facebook and see what’s being shared the most. It’s quite clear that the headline will be the most powerful driving force, and that’s why I recommend to all my students that you study headline writing. That’s one of the most important aspects of blogging, and I cover that in some of my programs as well. Q9. How realistic & likely is it for the average person to make a second income or leave their day job by creating a successful blog which makes them money? I think it’s very realistic if you’re serious about it. I mean it’s one of those “how long is a piece of string” questions. If you believe or if you want to do it, and if you are prepared to put in the effort, and not give up, and keep trying even when you’re failing, and adjust and pivot as you’re going along like all entrepreneurs have to learn how to do, then anyone can earn a full-time income from a blog. Unfortunately, most people don’t, and it’s almost out of because they give up simply for emotional reasons. That’s why I believe mindset is more important because you might put in a bunch of effort, don’t get any good results, and blame it on something like you don’t have the skills, or you don’t have the right timing, or you’re not a good writer. There are so many different excuses you can give yourself for not succeeding where the people who do succeed never let those excuses be a permanent part of their psychology. They always adjust to optimistic rephrasing of what they’re trying to do and keep leveraging that. They keep using optimism to power them forward with a bit of rationalising. If things aren’t working, they’re not going to do it forever, but they always keep moving forward and learning from mistakes. And that’s the path for success in anything in life. You keep doing it, and you keep changing as things are going wrong and improving until they’re going right. And then when things work, you do more, and more, and more of it. Simple as that. Q10. How can bloggers attract visitors to their blog? What advice do you have with regards to getting ranked in Google, SEO advice, etc? Is content king, or can good SEO put blogs with bad content on top? I never been an SEO expert, and I don’t advocate focusing on SEO. I focus on the people I’m serving. I really believe you have to know your marketplace well so you can provide the content they want. And today, if you want traffic, it’s all about being published, not just being published on your own blog because you control that. It’s about getting yourself published on other content areas around the whole entire world. And you’ve got all the other internet web pages, and podcasts, and YouTube channels. You’ve got newspapers, and magazines, and radio shows, and television. There are so many possible outlets to get yourself featured on. It’s really a matter of you defining your topic, creating some value, and then getting published on other people’s content so some of their audience discovers you and starts following you. That, in turn, can help your SEO because you’re going to generate links from authoritative websites, but that’s not why you’re doing it. You’re doing it to tap into audiences that already care about a subject and get in front of them. It’s the standard practice in retail where, if you have a great location and you’re in front of the people traffic, you do better. In the internet world, there’s no physical location, but there are destinations where lots of people go. You just have to get in front them. And you can do that with money, you can do that with free content you give away, and most of it comes down to relationships. You have to start building relationships with other people who own traffic sites, who are journalists, who are writers, who are bloggers in order to reach the point where they’re willing to feature you. Be good at what you do, have good relationships, and then start getting published. That’s how you get traffic. Q11. Your website is set up using WordPress. Why do you use WordPress and what was involved in setting it up? How hands-on are you with updating the site, blog, etc? Well, I used to be a lot more hands on than I am today. I don’t really do anything technical for my blog besides going there and type a blog post, and edit it, and publish it. I used to do all the design work, and make the plug-ins work, and so on as well, but I have had a technical support person for the last 10 years. I mean different people, but I’ve always had help. And I strongly recommend that everyone who’s not technical themselves should be outsourcing technology to other people. WordPress is just the standard nowadays for blogging. It’s been like that for 10 years as well. It’s open source. It’s got a ridiculous amount of plug-ins, and add-ons, and tools. I think it powers 25% of the internet today or something crazy like that. So it’s just a great blogging platform and great content publishing platform. If you know how to send an email through something like Gmail, or Yahoo! Mail, or Hotmail, that’s how easy it is to write a blog post. So there are no excuses about it being too hard. You just hire someone to set things up and then away you go. Q12. From initial idea to end product, break down the steps you take in creating your online courses. What software system did you use to create & publicise them? What advice would you give to somebody wanting to create & sell their own online product (e.g. a book or online training course)? That’s a huge question, I don’t think I can cover all of that. I have an entire 6-week training course on answering those sorts of questions. For me, courses are… There’s two things about courses. You’re giving people the right information in the right order for them to study it, and it’s very important that you’re also helping them eliminate information. The moment we have information overload is a problem. I think why there’s a great opportunity for people like myself or anyone else who wants to teach and sell digital training products is the opportunity to help people gain clarity by removing the information that they don’t need and only giving them the information they do need. I always focus heavily on what’s called 80-20 rule, which you may have heard of, the Pareto principle, which simply means there is a small number of variables responsible for a large number of outcomes. 20% of the variables are responsible for 80% of the outcomes. This is the law of nature, and it’s running on a power curve. So there will always be a small number of most important things to focus on. That’s the same for blogging. There are only a few key things you need to do with blogging: create valuable content, get yourself published. That’s what you need to do. Get good at headlines. It was an 80-20 rule for content. The headlines are more responsible for traffic than anything else. When it comes to creating a course, I generally see things in what I call a blog sales funnel. You might have your blog on a sort of general topic, then you have an email list that’s more focused, and you have a product which is even more focused. My blog is about entrepreneurship, my email marketing is about specific aspects of blogging, and my products are also about even more specific aspects and more detailed information about blogging. I look at creating products as something you should get doing as soon as you can and remove as many of the barriers as you can—in particular, technology. When I first created my first-ever training product, it was literally just a WordPress site with articles written into it with one password that everyone used to access it and an email list. I sent out the emails for information with the password, they logged in and went through a lesson, and that’s it. That really only required WordPress and AWeber, which was my email system. Today, I’m using ONTRAPORT. They have pretty much an all-in-one solution for this. They handle my email marketing. They give me a plug-in to use with WordPress that allows me to password protect content and integrate it with their shopping cart system, and they do everything in regards to that. So I really, today, only use ONTRAPORT and WordPress to run my member sites and training products. The rest of your question—you’re asking me about publicising them—it’s all about building up your own audience. This whole process, the blog sales funnel, is very integrative. You’re writing blog posts, you’re getting published on other people’s sites, you’re bringing people to your blog, they’re joining your email newsletter, we’re giving them target information, you’re offering a product related to that targeted information, they’re buying that product, and then maybe they’re buying another product later on down the track when they want more from you. You’re building something so you have an existing customer bases [clears throat] that you can tap into anytime you want. And obviously, there’s all these things you can do to grow that access to people. You can do affiliate marketing – get people to promote you. You can go to Facebook and buy ads. There are plenty of options, but really, it’s about having a valuable product, a good conversion mechanism for selling that product, and just going through the steps. Simple as that. It’s not necessarily simple, but as I said, you were asking me a fairly big question that would take me quite a while to answer comprehensively. Q13. You encourage people to join your Email Newsletter. What are the benefits you get from having email subscribers? How have you grown your email subscribers and how do you manage them? Well, as I said, I used to use AWeber, and today, I use ONTRAPORT. That’s the technology I use to collect email subscribers. As I said before, it’s primarily a tightening and specialisation of information related to my blog. I have what are called email gauntlets which are sequences of automated email messages that get sent out that essentially share my content. It’s usually my blog post – sometimes, my podcast interviews, and sometimes, my videos. It shares related information, and it also sends out offers. I might give people a week’s worth of free information that’s helping them with the subject, then I might tell them I have a product on the same subject and that I might run a special on that product and then give them more and free information. It can get quite complex. This is why, as you get more advanced with this, you have segmented email sequences, and you’re moving one person from one email newsletter to another, depending on what they do. But at the basic level (what I just described is it), it’s targeted information for free which is demonstrating your value, demonstrating your expertise, and if they want more from you, you have a product related to it. And that’s it. In terms of how I’ve grown my email subscriber base, it’s primarily through my blog. I, for the last 10 years, almost exclusively used my blog to get people onto my newsletter, and I get about 500 people a week joining my newsletter just from my blog. That’s no paid advertising. It’s just all the content I’ve written over the last 10 years. Of course, there are so many things you can do today from, like I said, getting yourself published to buying traffic, doing joint ventures, and affiliate marketing. There are lots of options. It’s a case of picking one or two pathways and getting good at it, and that’s how you can grow your audience. Q14. Why did you decide to start making YouTube videos and how does it benefit your website? (e.g. generating traffic & sales to your website, etc). How difficult is it producing them? Well, YouTube is probably my… I won’t call it weakest, but it’s the area I focus on the least of content. I’m a writer first, a podcast interviewer second, and a YouTuber third mainly because video is the most difficult in terms of production. That being said, today, most of my videos that I put on YouTube are simply using my iPhone and holding it on a stabiliser. It’s called an iStabilizer, which is this little stick that I can stick my iPhone on and walk around and talk to it. And that’s pretty much what I do at the moment. I just go out into a part, talk for five minutes off the top of my head about a subject related to blogging, and then add an intro and an outro to that, and upload it to my YouTube channel, and share it on social media, and it goes on my blog as well. That’s the simple answer. You can go to such a more complex level with high-end production, and obviously intros and outros, but also transitions, and music, and background, and effects. There’s a lot you can do with video. The most I will do is for my products, and I’ll use a program called ScreenFlow. For that, it’s just a set of slides that I talk over, and that’s, again, not that complicated. It’s just recording my desktop, teaching and talking. That’s it. The reason why I think YouTube is important though is that people, as I said, learn from different modalities. You got audio learners, you got visual learners, you got written, you got participation learners – people who want to be in live events. I find the more different types of modalities of content I provide, the more people I reach; the better my business goes. It’s something that I think (in particular with videos case) that builds a strong personal connection with people since, besides meeting face-to-face, there is no stronger human-to-human connection you can create. Certainly online, that’s the strongest format, is with videos. So that’s why I do it. I think it’s fun too. For me, often, I choose to create content in modalities that I enjoy creating content in, and I do like podcast, and I do like writing, and I do like video, and I like to mix it up and have fun mixing it up. Q15. Increasing numbers of websites now provide a podcast, and you have been running podcasts – including interviews for a few years. Why did you originally decide to use podcasts and how does it benefit your websites? Also, why include a podcast when you could instead use a YouTube video? Well, podcasting certainly became really powerful lately because of the proliferation of iTunes on mobile devices. That’s the main reason people are using podcast now, is the scale of audience you can reach thanks to iTunes and all of those phones out there that have it. I started podcasting long before iTunes, and it was something I did just because I was interested in exploring technology. I had a voice recorder on my phone and on my MP3 player, so I tested it out, recorded and uploaded it, and boom – I was podcasting. And that was in 2005—so very, very early days. Just like I said with video, podcasting allows you to have that voice connection as you’re getting now with me. You’re hearing my voice, not just reading words on a screen. So there’s an extra layer of context, an extra layer of depth in the relationship we’re forming as a result of using this medium. So I think podcasting is fantastic for that. Another thing I love about podcasting is the ability to speed it up, speed in playing it back up. I listen to audio books, interviews, and I always listen at two to three times the speed. So it allows me to get through content quicker. The obvious answer is you do podcasting and you do YouTube also because it allows you to use these platforms: iTunes and YouTube, to reach new people. They’re massive sources of audience. That’s why I would suggest doing both. If you have the capacity, have a podcast, have a YouTube channel, bearing in mind you can strip the audio content from a video to be your podcast. I remember some people have done well like (in the past) David Siteman Garland. He did The Rise to the Top show, and he did that in a video. Andrew Warner from Mixergy – another person who does a video podcast that also gets produced in an MP3. And Navid Moazzez… I can’t remember how to pronounce his last name – he’s been doing the same thing recently with video interview. They can really be converted into all formats. A video can become an audio. An audio can become a transcript, which is text. That’s the real power of the internet, is being able to create content in these different formats and meet people where they are. Q16. Do you use Facebook, Twitter, Pinterest, etc, to promote your websites? How successful has it been for you? Any advice on how people can use social media to promote themselves? Yes. I use all of those, not so much Pinterest on a regular basis but certainly Facebook and Twitter. They’re my main two. I use them because they’re fun. I have people following me, so it does allow me to reach new people and get a bit of marketing share. It’s another form of engagement. I don’t focus on social media as much as some people do because a lot of people rely on it as their main source of traffic, and that’s often because they’re more recently started where, when I started, SEO was the big thing – Google pretty much sends everyone all their traffic. Now, Facebook’s become a better source, and Twitter’s become a better source. I look at this as something you just need to decide where your strengths lie. I’m not interested in getting really good at Facebook and really good in Twitter, but I do enjoy using them, and I can see the power they have, especially because they’re on your phone. I don’t write blog posts on my phone, but I do write tweets, and I do write Facebook updates, and I do take photos and share them on Instagram, and that’s something that adds to my ability to communicate with people and meet them where they are. That’s the thing with the internet. People move from platform to platform, and your job is to make sure you always go where the people. In the past, they all were on Google, and now, it’s starting to fragment, and they’re on Facebook and Twitter, but it really depends on who’s your audience and you deciding where you want to meet them. I really advocate getting good at one or two methods. So if you’re going to do social media, just get really good at Facebook. If you’re going to do SEO, just get really good at doing link-building. If you’re going to get really good at podcasting, just pick a medium and go hard and get good at it rather than being average on all of them. Average in all of them will not get you a big result; brilliant at one of them will. Q17. What are the best things you did for your business? As I said earlier, an email list – number 1. That’s the best thing I did. Going hand-on-hand with that is having a blog. I think those two platforms: a blog and an email list, two assets you own. Everything else I talked about (social media, YouTube channels, iTunes) those are platforms other companies own. You can’t decide what happens, what they do with their platforms. They can switch you off whenever they want. Owning my newsletter and owning my blog are platforms that I control and I decide what goes on them. That’s powerful. That’s what I recommend everyone builds. Blog, email, and newsletter – smartest things I’ve ever done, best way to make money. I know it because I get paid to share my ideas, and I think it’s accessible to everyone who wants to get out there and who has ideas to share. Q18. What’s involved with managing your websites? Do you create everything yourself, do you have any staff or do you outsource? Describe your typical day. Content creation’s my job. So I do my writing, my podcast, and my YouTube videos. Technology, as I mentioned earlier, is handled by a tech person. So all of the membership site managements, changes in my blog with WordPress, setting up of scripts and software, and designing of pages, that’s all done by a technical person or designer. I also have an admin assistant who has been handling my email for 10 years. So my inbox goes down to zero at the end of everyday or at the start of everyday because she handles my email and puts things into folders for me. That’s pretty much the main outsourcing. I don’t have any fulltime staff. They’re all contractors, and they’re all stay-at-home mums—not located in my own city. I never see these people face-to-face. It’s all virtual. We work with the project management software, Asana, which is free, and also Skype, which is also free. My typical day is pretty fluid. There’s not a thing as a typical day. There’s typical activities, like I will check my email—I won’t respond necessarily—but I’ll check my email, I’ll check my Facebook, I’ll check my Twitter, I’ll maybe record a video, I maybe sit in a café and write for two hours, I’m almost hours working on a blog post or a product. That’s my moving-forward task. I’m a big believer in assessing whether the jobs you’re doing are treading water or moving forward. Are you swimming or are you treading water? I make sure that I’m always doing some form of moving-forward task every day, and the “treading water” tasks, like responding to emails (the things that maintain your business but don’t grow it), they should get pushed aside. So you always do things that move you forward. On top of that, I like to cook meals at home. I exercise. I do workout DVDs and ride a bike. I do a lot of walking. Often, I’ll just walk to a café – walk to the city, sit in a café, do some writing, grab some lunch. I always listen to audio books and things on the way to the city and back. Sometimes, I’ll meet with friends if it’s the weekend or something like that. It’s fairly fluid. I wake up when I want to. It’s usually 9:00 or 10:00. I’m recording this now at 10:30 at night. So I often do work at night before I go to sleep. I watch a lot of Netflix in there as well. And yeah, it’s, like I said, very fluid, do a bit of travelling of course, and I get to decide how I work. Best of all, I get to wake up with emails saying I made money, which is the Holy Grail, I think, of having an internet business. Q19. Where does that drive to be your own boss come from? Why did you decide the life of a 9:00-to-5:00 employee was not for you? Well, freedom has always been the underlying principle that guides everything I decide to do, and then money obviously gives you freedom which often grants you time freedom and certainly grants you location freedom. So money is sort of like the energy that allows you to create the other freedoms in your life. I can’t stand the idea of limitation. So working for someone else where you have a cap on how much money you make, you have to be somewhere, you have to do tasks you don’t want to do, all those things are like the opposite of freedom, and I can’t stand them. It’s the definition of torture for me. Where that came from? I don’t know, but I certainly knew what I didn’t like, and that was waking up to do a job for someone else’s company to get a set salary doing tasks I don’t like. That’s a no-brainer. Who wants to do that? I understand for some people that it works well for them but certainly not myself, and I don’t know where it comes from. It’s probably a personality-type issue more than anything. There’s certainly an entrepreneurial type versus a working type. I think the entrepreneur type is often a mix of a creative personality with a person with a drive for financial freedom. That’s an interesting mix there, because often, creative people have trouble making money, and sometimes, people who are trying to make money but don’t have any creativity also struggle. So you have to kind of mix those two variables: be creative and be driven to make it financially viable as well. And that’s the mix of a master as an entrepreneur. Q20. What advice would you give to somebody thinking of starting their own online business? I would simply suggest that you start yesterday. This is the thing with an online business or anything you’re trying to get better at: you need to put in the hours; you need to keep learning through experimentation, and action taking, and adjusting based on what’s working and what’s not. The only way you learn and get tangible results is putting things into practice to see what happens. If you do this, do you get an audience? If not, change it. If you do get an audience, take the next step. That kind of feedback can’t happen if you’re just thinking about it or if you’re studying. There has to be a component of actual, evidence-based experiments. You have to experiment and test, and that’s how you create stories and get results. The sooner you start doing that, the better. Q21. What are your plans/goals for the next 6 months? I simply am rolling out my two main courses. That’s for the six months. I’m releasing BlogMastermind.com and MemberSiteMastermind.com. My two courses are on pretty much how to create a blog and sell digital training products and services. And that’s going to keep me very busy for the next six months. So, that’s my main focus. Alright! Thank you for what was a pretty big interview. I hope you got something out of that. Nothing else to say. My name is Yaro. You can find me by Googling Y-A-R-O. My blog, my podcast, my YouTube channel, and my social media, everything will show up on that. And I’m also trying to have something easy to spell and remember, a bit like Madonna or Oprah – so Y-A-R-O. Thanks, everyone listening in. Goodbye. Has Yaro inspired you to start up your own business? Maybe he has encouraged you to set up your own blog? If he has, then begin by registering the domain name you want. Then get your blog/website set up. With this in mind, Easyspace has created EasySiteLive PRO – a website builder product, to help get your website up and running in no time. Click here to try our new EasySiteLive PRO website builder for 21 Days Free of charge.